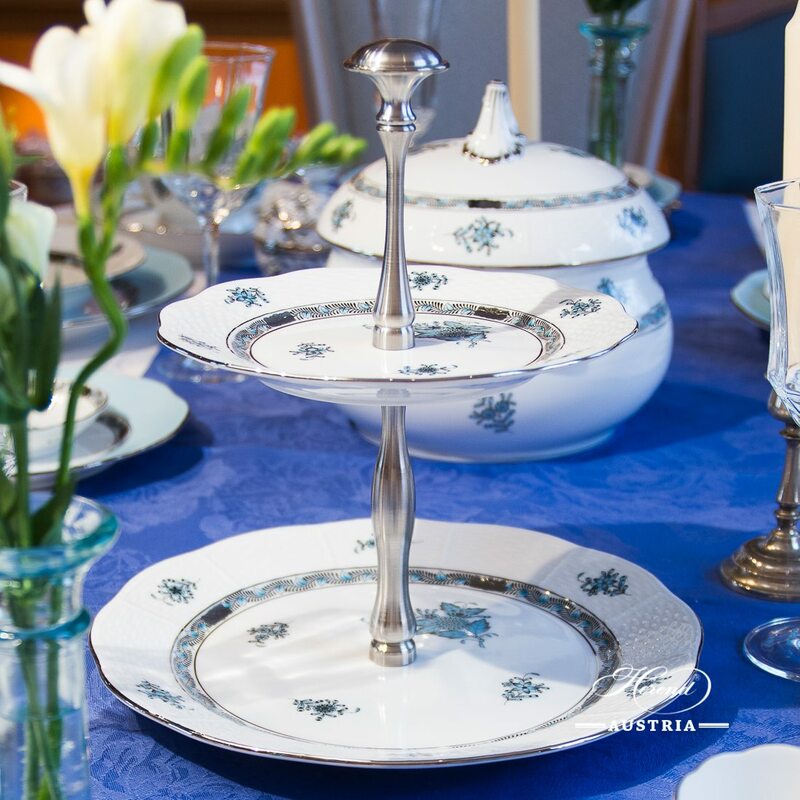 Cake Stand w. 2 Tier and Metal Handle – Chinese Bouquet Turquoise / Apponyi ATQ3-PT pattern. Herend fine china – 308-0-91 ATQ3-PT – Turquoise w. Platinum design. Cake Stand with 2 Tier – Herend Chinese Bouquet Turquoise / Apponyi ATQ3-PT pattern. The Cake Stand is available with 3 Tier too. The ATQ3-PT design is a modern variant which painted with Turquoise colour and Platinum edge. It is an ideal choice to all Chinese Bouquet Turquoise / Apponyi ATQ3-PT Sets.